Some of the most popular so-called “adult” coloring books today are of mandalas. Business executives students and teens use them to calm themselves. The act of coloring a mandala focuses these individuals on the peace, harmony and unity that they represent. Mandalas have been around for centuries. 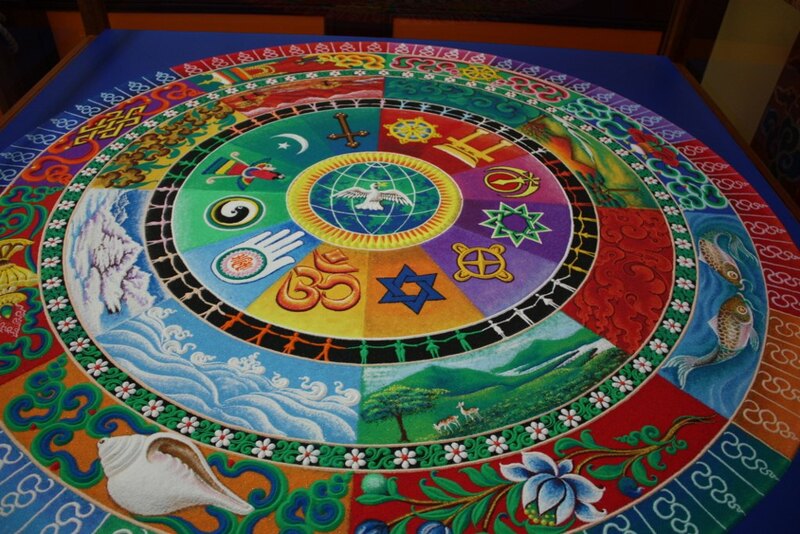 Used by ancient Hindus, Buddhist monks and even the American Indian, mandalas have very spiritual meanings. To all cultures who use them, in both meditation and in healing, mandalas represent the universe, the sacred circle of life, and other spiritual symbols, such as harmony, wholeness, and unity. They symbolize our oneness with the universe and with one another. Snowflakes are very difficult to study. They melt as soon as they come into contact with the human hand. Scientists have studied them, however, and that is why we have knowledge about the intricacies of their designs. They are also but one manifestation of mandalas in nature. Flowers are also mandalas. With this in mind, it is important to understand the broader meaning of mandalas, for they are far more than just an attractive geometric design. Spiritualists use mandalas during meditation. By focusing on the circle, with no beginning or end, a meditation can take an individual within and enhance spiritual energy. The intricacies and symmetry of the design remind us that the Universe has many facets but that all of those facets exist in perfect harmony. It is when we get out of harmony with the Universe that the race world of discord and strife enters in. Contemplating the mandala during meditation reminds us that the real world is not the race world. Mandalas also have powerful healing capacity, especially for emotional disease. (The word disease should actually be broken into its halves, for it is a disease within oneself that has separated him from the harmony and unity of the Universe and his oneness with it.) The separateness caused by dis-ease is responsible for both physical and mental disorders. Using the mandala for meditation can conquer those dis-eases. 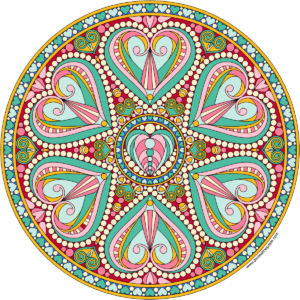 Psychologists and psychiatrists have used mandalas and the coloring of mandalas with patients for years. Carl Jung, in particular, drew his own mandalas for inner peace and had his patients do so was well. In making and coloring mandalas, he discovered that great healing could occur. He even kept detailed records of his research with mandalas which can be studied today. 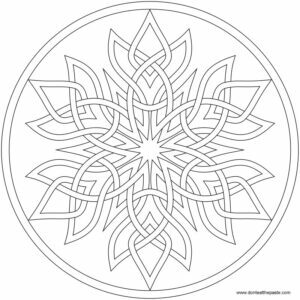 Today, there is a surge in popularity of mandalas, both in creating them and coloring those that have already been created by others. They are used by individuals from every demographic in society for their beneficial properties – relieving stress and tension, reducing hyperactivity and other behavior disorders in children, and assisting people through hardship and traumas. Some of the most popular so-called “adult” coloring books today are of mandalas. Business executives use them when they are anxious, worried or stressed. Students use them to relieve anxiety and stress over their studies; teens use them to calm themselves. The act of coloring a mandala focuses these individuals on the peace, harmony and unity that they represent. It’s no wonder that more and more people start to use mandalas as a motivational driver. If you are going to use a mandala for meditation, then pick that appeals to you. Some of the more common ones do have explanations of what they mean. If yours does not, then create your own explanation. What types of harmony and unity does it represent to you? Keep this in mind as you focus on it, on the design elements and the colors, and the wonderful symmetry that symbolizes the great symmetry of the physical universe and of Universal Mind. Take in all the beauty of the design. Let your mind “float” away from the race world and the creativity of Mind flow through you. Many who do this state that issues and problems with which they have been grappling are solved – the solutions preset themselves during the meditation. Once someone has an understanding of the mandala, s/he may wish to create on from scratch. This is a genuinely satisfying experience, as it can be individualized in both design and color. 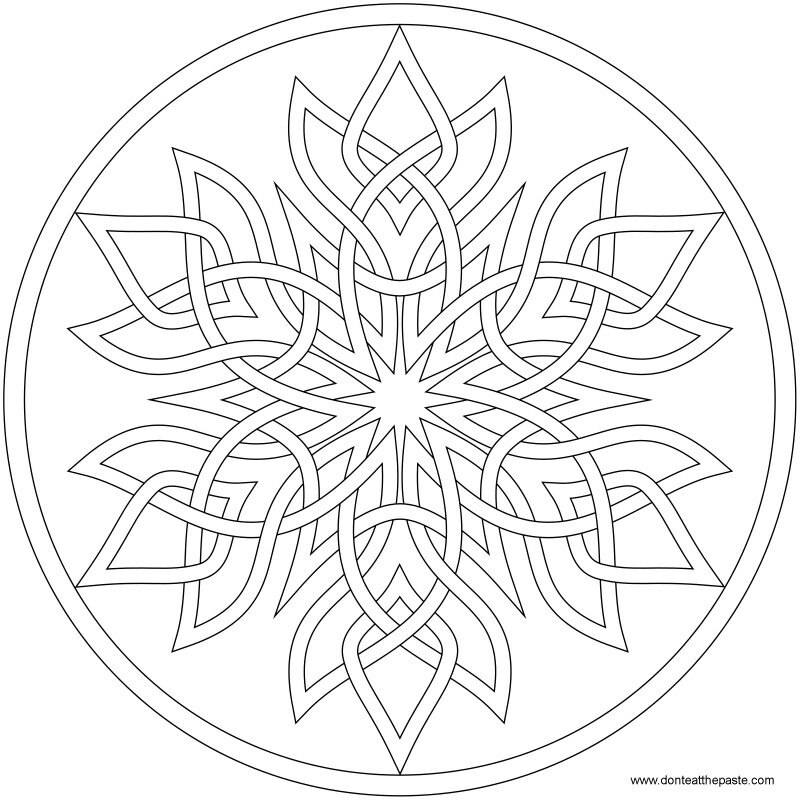 For ideas, you can go online and look at mandalas and the explanations of the meanings. You may want to turn on some soothing music, but it is always a good idea to take some deep breaths and relax before you begin. You want to be in a relaxed state. Being with blank paper and draw your circle (use an overturned bowl or compass). Draw some type of smaller shape in the middle of the circle that has meaning to you. Sometimes another circle, a diamond, a triangle works well – this will be your “motif” or theme. Create another shape and draw a few of them around your center shape. You can change shape and color as you “feel” it. Continue to draw new motifs expanding outward, moving to the edges of your circle. You can have as many or as few “rings” as you desire. As your shapes get larger, experiment with putting smaller shapes inside those larger ones. Add as much or as little as you wish. You mandala is only finished when you say so. Depending upon what you want to manifest in your life, you should use the color in proportion to the importance you place on the things that those colors represent. When your mandala is finished, be sure to put it someplace where you can see it every day. You want that reminder of your goals visible as much as possible. And use it during your meditations. If you are not ready to create your own mandala yet, then you can purchase mandala coloring books in any number of places. As you go through the exercise of coloring, you will find yourself far more relaxed and peaceful than before. Mandalas are very therapeutic, so color them often. If one “speaks” to you, pull it out of the book and place it where you can see it often. Begin to use it for your meditations, giving it your own meaning. You will find the power, energy, healing, health, and peace that you seek. Mandalas have become popular for a reason. Man is evolving in his spiritual consciousness, and coming to realize the importance of meditation and correct thought in his own “world” and in the larger world of which all mankind is a part.